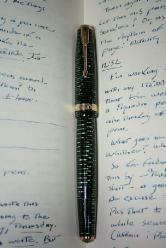 Yes, I love fountain pens; love is the word I used. And Sigmund Freud might have had something to say about that, but remember that Freud also said, "I'll have another hit of cocaine." In German, but that's what he said. So who cares what he might have said about anyone loving fountain pens? Yes, so when I buy fountain pens (and I do) and have the nibs modified (and I do that too) I tend to buy from Classic Fountain Pens in Los Angeles or Richard Binder of Richard's Pens in Nashua, NH. I also like paper, the kind that's good for fountain pens. 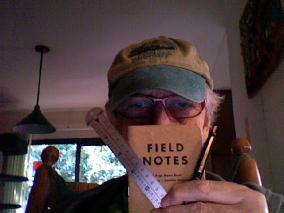 Moleskine isn't. (Mol-uh-skee-nuh iz-uhnt). No matter their claim that all famous writers and artists have used Moleskine notebooks (mol-uh-skee-nuh node-buks) and that if you don't use Moleskines you can't be any good. Papéterie Nota Bene in Montreal. Pendemonium in Fort Madison, Iowa.